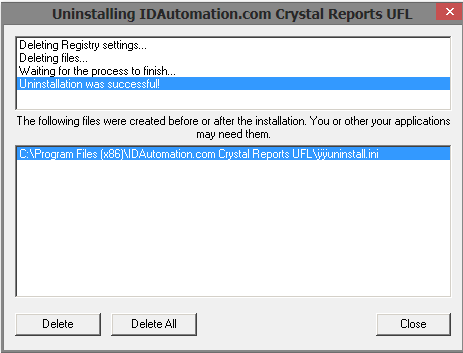 The issue occurs when I attempt to uninstall the IDAutomation Crystal Reports UFL font encoder. The error may happen with the Crystal UFL and the ASCII String Decoder. It is possible the issue may occur with other uninstalls. 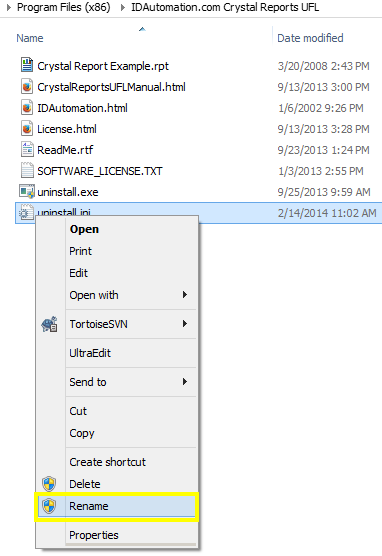 To resolve the issue, navigate to the uninstall.ini file for the product that you need to uninstall. 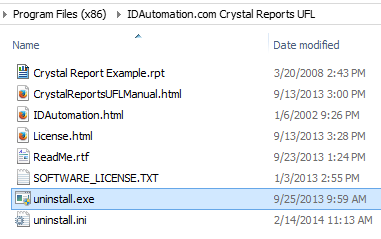 The forum posts will illustrate how to correct the issue for the IDAutomation Crystal Reports UFL. 1. 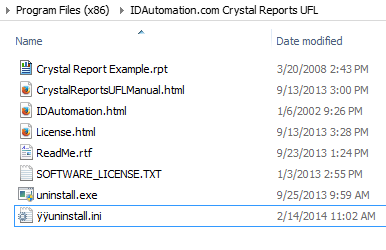 Navigate to the directory C:Program Files (x86)IDAutomation.com Crystal Reports UFL. 2. Right-click on the unistall.ini file and select Rename. 6. To uninstall, choose Yes. 7. Select Delete All to remove all UFL files then choose Close.